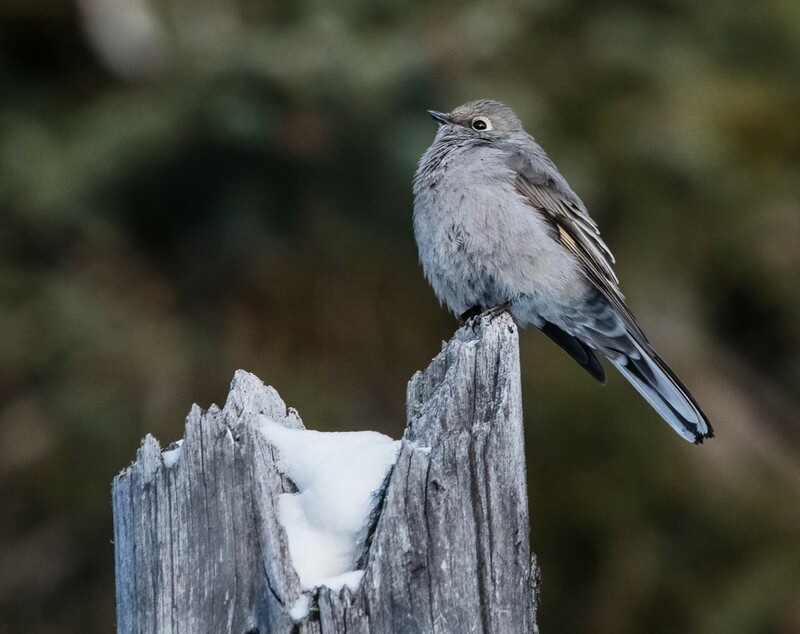 There are not many small birds in the Higher Alpine areas of the Rocky Mountains in the winter. So, it was a surprise when I saw a Townsend's solitaire today sitting on a stump above Lake Minnewanka in Banff National Park. They range from Alaska to Mexico. In the winter they migrate to the lower elevations in search of Juniper Berries. The Townsend's Solitaire could be mistaken for a Grey Jay. However, it does have some distinctive marks - the white eye ring is a giveaway. This Solitaire sat and posed for me, maybe because it was so darne cold and he did not want to move.